I am pretty sure that if I’d read this book as a 10 year old girl, I would have loved it unconditionally. Reading it as a 30-something woman instead, there were a few conditions, but I found it to be an enjoyable read. Dragonsdale is essentially a horse book with dragons instead of horses. This is a good thing as far as I’m concerned – I loved horse books as a girl and making the horses into dragons was a fun twist. Wikipedia tells me that 16 year old “Salamanda Drake” is actually two middle aged guys named Steve, and the two Steves must be commended for putting some real thought into the differences you might expect between a riding academy for dragons and one for horses. The worldbuilding was nicely done, especially for the audience, with enough details to bring Dragonsdale to life, yet plenty of scope for the eager imaginations of young girls dreaming of a tame dragon of their very own. My main issue with the book (and again, this is the perspective of an adult reader – I don’t think it would bother most children) was the behavior of the father. Admittedly, grief can make people behave quite irrationally, but for a guy so traumatized by his wife’s fatal accident that he can’t bear to let his daughter ride, he doesn’t seem to have any issues riding himself. It seems just plain cruel to forbid her to ride at the same time he’s raising her surrounded by dragons, and forced day in and day out to watch others ride them, including others far younger or less knowledgeable than she herself. Imho, it’s way beyond irrational and into the realm of stupid to expect her to obey him forever under those circumstances. Similarly, I’m sure dealing with the spoiled daughters of aristocrats is a nightmare (yay democracy!) but as a former equestrian, I was really giving him the side-eye when he let his anger get in the way of his judgement enough to foist off an untrained mount on a rider he knew to be both incompetent and cruel, thus putting the life of both the rider and the dragon at risk. It would be bad enough if it were a horse, but something that can fly, breathe fire, and eat people? Seriously? 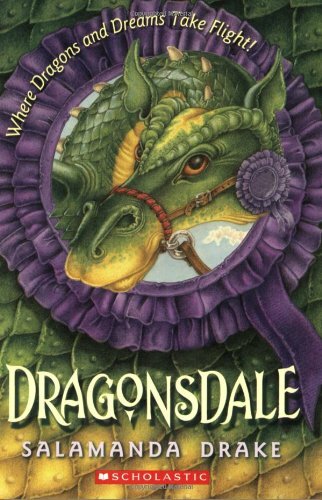 Despite my issues with the father’s characterization, Dragonsdale was enjoyable, and I think it would make a great read for kids about 8-12, especially girls who love horses. Mary Pope Osborne’s Magic Tree House series has been a big hit with my daughter, and luckily (given how many of them there are) they’re easy to find at used book sales. In the books, a pair of ordinary children named Jack and Annie are sent on missions by Morgan Le Fay (and later Merlin) to historical and fantastical locations with the help of a magical treehouse, learning about history, mythology, and science along the way. My daughter also enjoyed the games at MagicTreeHouse.com. 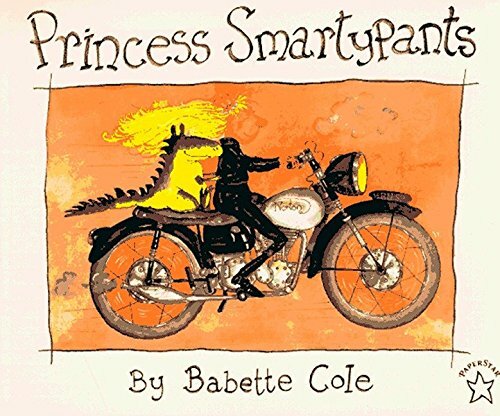 I have somewhat mixed feelings about Babette Cole’s Princess Smartypants. On the one hand, it’s an entertaining and funny book. On the other hand, I don’t think that Princess Smartypants herself is a particularly good role model for girls (feminist or otherwise), so if you’re looking specifically for princess books that do have good role models, this one probably shouldn’t be on the list. That said, I thought that some of the methods Smartypants uses to get rid of her unwanted suitors were mean-spirited. Later, when one of her suitors manages to outsmart her and pass all the tests she devises to win her hand in marriage, she gets rid of him with a dirty, underhanded trick. Prince Swashbuckle isn’t exactly a charmer himself – he’s conceited and smug and when he passes her tests, he concludes that Smartypants isn’t so smart after all – but I would have preferred that she beat him fair and square. As it is, she comes off as kind of a spoiled brat and this mars an otherwise fun book. 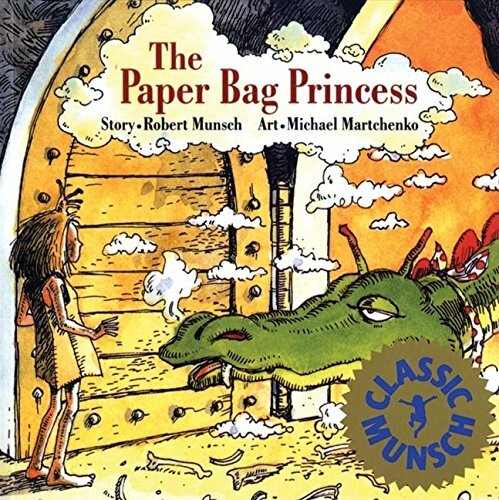 The Paper Bag Princess, by Robert Munsch, was originally published in 1980 and was one of the first children’s books to feature a princess who did more than sit around and wait to be rescued. More than 30 years later, it’s still one of the best. Its heroine, Princess Elizabeth, starts out as a Princess Classic who loves pretty dresses and is looking forward to marrying a prince named Ronald. Then a dragon demolishes her castle (burning up all her clothes) and kidnaps Ronald. Elizabeth dresses herself in a paper bag that somehow survived the fire and sets off in pursuit of the dragon. She rescues Ronald, but when he turns out to be a snobby, ungrateful jerk, she dumps him and skips off merrily into the sunset by herself. I like The Paper Bag Princess because the message about valuing yourself despite what other people might say (even other people you thought you loved) comes through loud and clear without being preachy. It’s a fun and entertaining story, not just a lesson plan from Personal Empowerment 101. Another thing that makes The Paper Bag Princess one of the best princess books for young readers is that Elizabeth ends up defeating the dragon using brains, not brawn. I like this because it’s more realistic for a girl who started the story as a completely stereotypical princess than having her turn out to be some secret swordfighting whiz. Even better, it teaches the valuable lessons that brains can defeat brawn and that there’s more than one way to be smart and brave… and girlie girls can do it, too! A fairly angsty teen romance between an Irish/Korean boy and an overweight redhead with a bad family situation, set in a working class neighborhood in Omaha in the 80s. 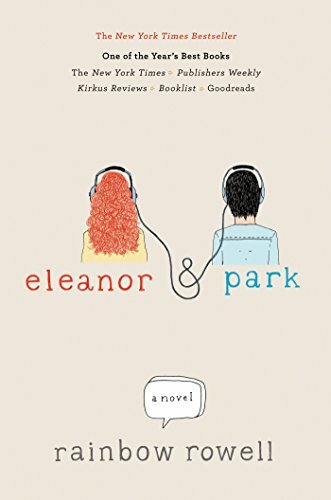 Beautifully written, and I thought it did a good job of capturing the intensity of young love, and the teen years in general. I didn’t much like the movie based on this book, but I decided to give the book a chance because I almost always like a book better than its movie. 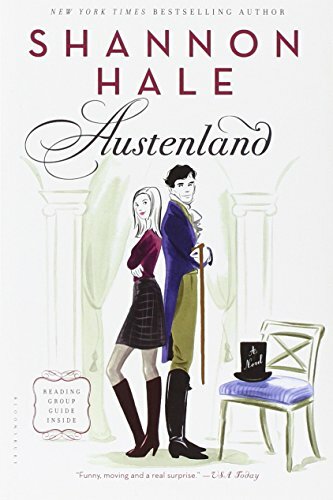 Austenland proved no exception. I still felt the characterization was shallow and overly convenient, but the book made better use of the fun premise and the secondary characters were no longer reduced to ridiculous caricatures, which was a huge relief and made the whole thing make much more sense. Listuff is a participant in the Amazon Services LLC Associates Program, an affiliate advertising program designed to provide a means for sites to earn advertising fees by advertising and linking to Amazon.com. Some links to other retailers are monetized via Viglink or other affiliate partners. Learn more.